We are Experts in Alpha Beta Sample Counting! 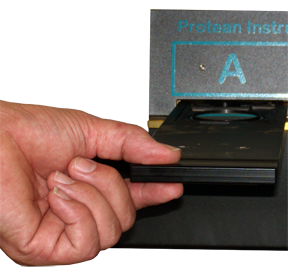 Protean Instrument is recognized throughout the world as experts in high performance, ultra-low background alpha/beta counting. Our Focus is Exclusively on Alpha/Beta Counting! Our business is unique in that we are entirely focused and dedicated to designing and manufacturing the very best alpha/beta sample counters. We Have an Extensive Line of Sample Counters! Our rich line of purpose-built designs will meet your measurement specifications without burdening your budget. See Our New Touch Screen Interfaces! These new state-of-the-art interfaces enhance user awareness, facilitate quicker changes, and have an appealing look too! Protean Instrument not only excels in after-sale support of its own equipment, it also extends to supporting other brands with cost-effective replacement parts and other services! These systems are best used when there is a very large number of samples to be counted, and the counting times are relatively short. If unattended operation is desirable, an automatic system should be appropriate if counting time per sample is relatively short in duration, typically ranging from one to two minutes for smears and air filters and up to 30 to 60 minutes for environmental and radiochemistry samples. 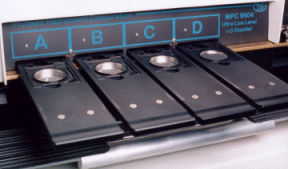 Manual alpha/beta counting systems are used for a wide range of applications. 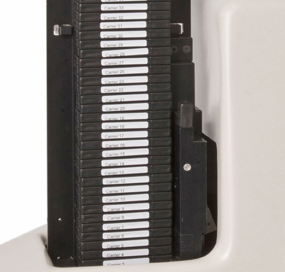 Two major uses for a manual system stand out: when the number of samples to be counted is extremely low (5–10 samples per week); or when counting times are very long (30–60 minutes or longer). These systems are best utilized for applications requiring high sample throughput and high sensitivity. Our MDS series can be configured to accommodate 4, 8, 12, or 16 detectors to facilitate the sample volume and throughput rate required.